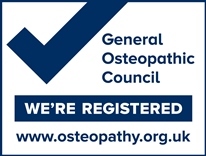 Terry has provided Sports Massage at the Moore Osteopathy clinic in West Bridgford for the last five years. He has recently been working to rehabilitate double World Racketlon Champion Izzy Bramhall, who he treats on a weekly basis after specialists told her she would have to give up competing due to extensive knee damage and an osteo-arthritic elbow. 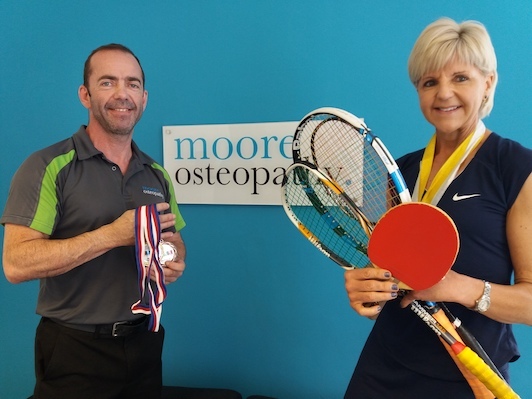 Izzy had a partial knee replacement and an elbow arthroscopy and thanks to the therapy provided by Terry, and Izzy’s determination, she has since won 3 World Championship Medals and the European Seniors Tennis Championship. 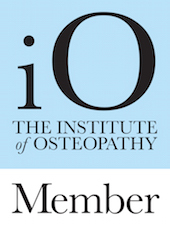 Izzy said, “Without the care and expertise of Terry at Moore Osteopathy, these successes would not have been possible. He totally understands what I need, uses various techniques and always makes me feel like I can perform to my best ability. Terry makes such a positive difference to both my physique and well-being, that’s why I go every week”. However, sports massage isn’t just for athletes. The treatment can also help relieve many day-to-day problems such as repetitive strain injury, sprains, tension and fatigue. A 60 minute sports massage allows enough time to talk about your medical history, sport and training regime and tailor each treatment to your requirements. If you’d like to book an appointment, you can book online or give us a call on 0115 981 5134.